Mitsubishi makes us busy with their new projectors. 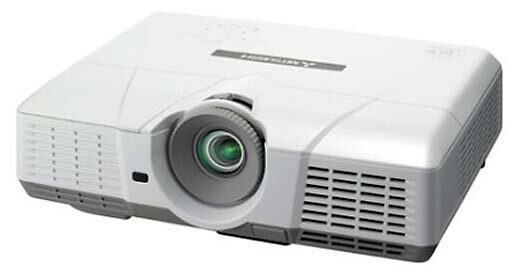 Dubbed as the WD510U and WD500U-ST, both projectors features 1,280 x 800 native resolution with 16:10 aspect ratio, 4,000 hours lamp life, Texas Instruments DDP 2230 DMD chip with DLP technology, VGA inputs, DVI-D with HDCP support, 3.5mm audio jack, contrast ratio of 2,000:1 (WD510U)/ 2,500:1 (WD500U-ST) and 2,600 lumens (WD510U)/ 2,100 lumens (WD500U-ST). The Mitsubishi WD510U and WD-500U-ST are priced at $1,495 and $1,695, respectively.